Featuring the Lucas Oil Late Model Series racing for $12,000 to win and the USRA Modifieds racing for $2,000 to win! 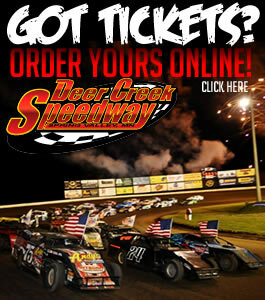 Featuring the USMTS Modifieds along with USRA Iron Man Stock Cars & B-Mods, and WISSOTA Midwest Modifieds. Slingshots practice on Button Buck Speedway at 3:00pm. Pink Out Night is a annual fundraiser at Deer Creek Speedway for the local based Join The Journey Breast Cancer Awareness Group! One of the areas largest FIREWORKS displays!